Каждый хочет быть вечно молодым. Конечно, никто не собирается быть успеха в этом поиске. Вы получите старый. На следующий лучшее, что вы можете надеяться на то, чтобы выглядеть молодо. Если у вас есть достаточно денег, трюки, как подтяжка лица, Ботокс, Пластика живота, волосы имплантаты и т.д. могут помочь. Те, на бюджете придется довольствоваться тактики проволочек, как краски для волос и тренажерный зал членство в их борьбе против разрушительного действия времени. Это не так уж плохо; Я в этой категории, и я думаю, что мне удалось предотвратить около пяти лет. What do you do when all your efforts fail? Хорошо, then you have to cheat, конечно. Вот как. You have to act young. The devil is in the details, вы видите. Хорошо, may be you don’t see too well, which is one of the problems of old age. In order to get the aging muscles in your corneas to squeeze down on your hardening lenses, you squint, and then you hold the piece of paper you are trying to read farther and farther away. И, наконец,, the day comes when your hand is just not long enough, and you go and get your reading glasses. Сейчас, when you see a youngish-looking fellow holding his smart phone at arm’s length, you know that appearances can be deceptive. Here is my advice — when that young friend of yours hands over his or her hand phone with their vacation photos, hold the phone at the normal, optimal distance of about a foot from your eyes and make appropriate noises like “Wow!” “That’s amazing!” etc. Just remember to keep your comments non-committal — “Wow!” almost always works. Конечно, you won’t be able to see anything, but what are you missing, действительно? If you do want to see the pictures of people jumping off cliffs and stuff, ask them to email them to you. In the privacy of your home, you can don your microscopes (reading glasses, Я хочу сказать,) and take a good look. This trick may not always work, when they show you a text message, например, for you to read and enjoy. (I actually wanted to write “peruse and be enthralled” for comic effect, but then I remembered that people have accused me being pretentious.) The trick in such a situation is to do a double-bluff — say something like, “Could you read it for me? 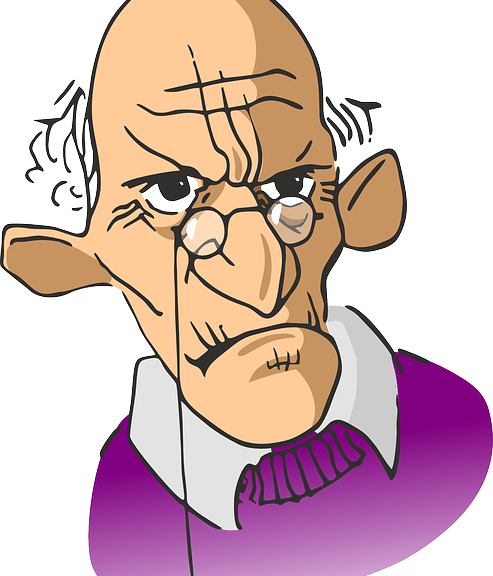 These old eyes are not what they used to be.” And then give a wink or a sly smile to indicate that you are only kidding. Кстати, this trick also works in a corporate setting when your job involves, хорошо, nothing. I had a colleague at the bank. At director-level on the more lucrative side of banking, I knew that he commanded a handsome compensation package. So I asked him over lunch one day what exactly he did. Он сказал,, “Ничего, absolutely nothing!” I said, “Не, seriously.” He insisted, “Серьезно, nothing!” You know what? I actually believe him. Но тогда, he was recently promoted to be the managing director of nothingness with a generous hike, I heard. Another buddy of mine, CEO of a start-up, when asked the same question about his daily activities at work, replied, “Вы знаете,, sweeping, cleaning..!” I don’t know what to believe. But I do believe this — one of the most effective ways of lying is to stick to the outrageous truth with a twist. One thing to keep in mind, Однако, is that this obsession with aging and how to fight it is a sure sign of aging. So this blog post is probably not helping my quest for eternal youth. С, что, I shall forever hold my peace on this subject.